Elizabeth longs to gain her liberty and her sister's crown. In Honor and Richard Thornleigh and their son, Adam, the young princess has loyal allies. 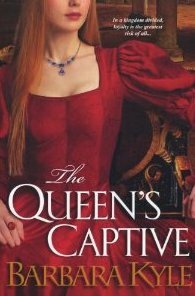 Disgusted by Queen Mary's proclaimed intent to burn heretics, Honor visits Elizabeth in the Tower and they quickly become friends. And when Adam foils a would-be assassin, Elizabeth's gratitude swells into a powerful and mutual attraction. 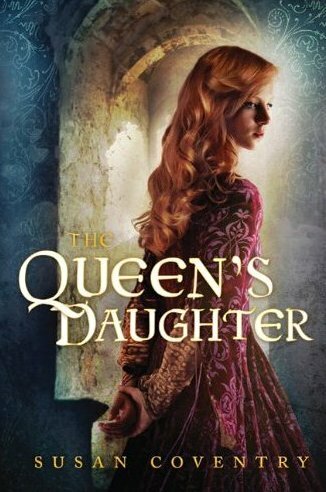 But while Honor is willing to risk her own safety for her future queen, aiding in a new rebellion against the wrathful Mary will soon lead her to an impossible choice. SYNOPSIS: Joan’s mother is Queen Eleanor of Aquitaine, the most beautiful woman in the world. Her father is Henry II, the king of England and a renowned military leader. She loves them both—so what is she to do when she’s forced to choose between them? As her parents’ arguments grow ever more vicious, Joan begins to feel like a political pawn. Both of these look wonderful!! Can't wait to see what you think! Both of these look great! Enjoy your new goodies! These sound very interesting. Enjoy! I have seen Barbara Kyle books before - but never really looked into them. And the Queen's Daughter sounds cool! These both sound very good. I love the dresses on these types of books. They are so beautiful! Enjoy both books! The Queen's Daughter looks really good! Not much has been written about Joan, has there? I believe she has a significant role in SKP's upcoming Lionheart.